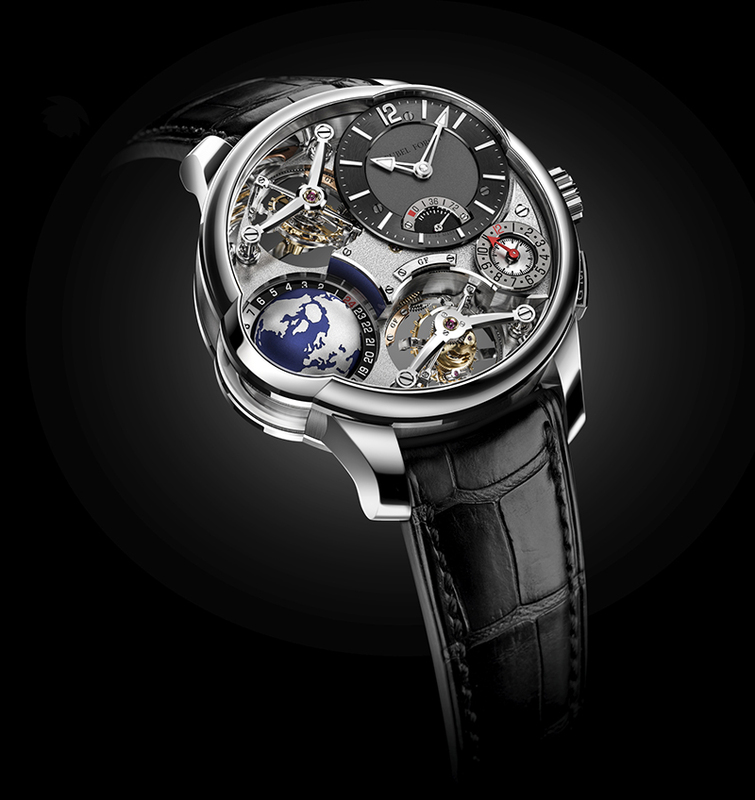 AS IF the Quadruple Tourbillon and GMT models which Greubel Forsey introduced in 2005 and 2011, respectively, were not complex enough, the brand named after “inventor watchmakers” Robert Greubel and Stephen Forsey has just put out an even more complicated rendition of the pieces. Recently announced by the brand was the Quadruple Tourbillon GMT, its name readily identifying what complications this new release packs. It has a limited run of only 66 pieces, the first 11 of which are in a white gold case. 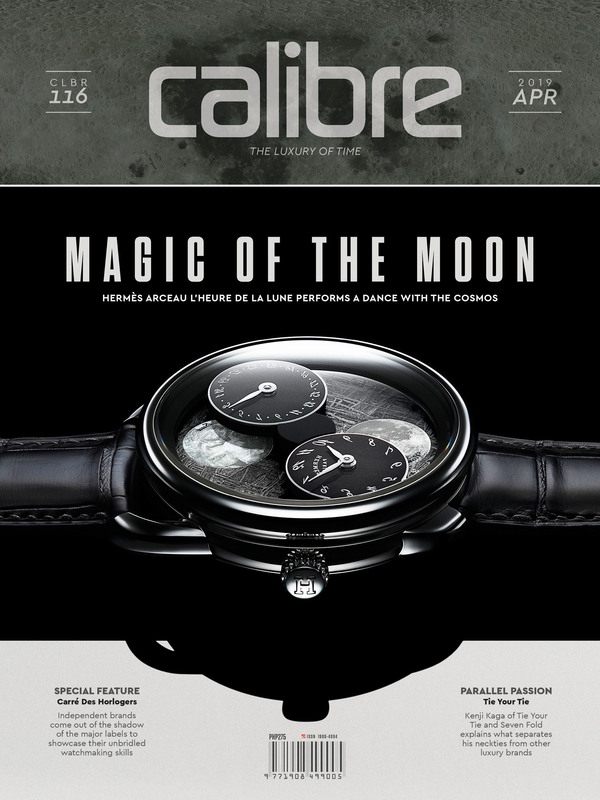 Distinguishing the GMT function of the new watch is its outsized globe which completes one full rotation every 24 hours, following the movement of Earth. In this patented system, the second time zone, displayed on a subdial, is paired with a universal time readout provided by the rotating globe. Surrounding the globe is a fixed 24-hour scale with day/night indicators. 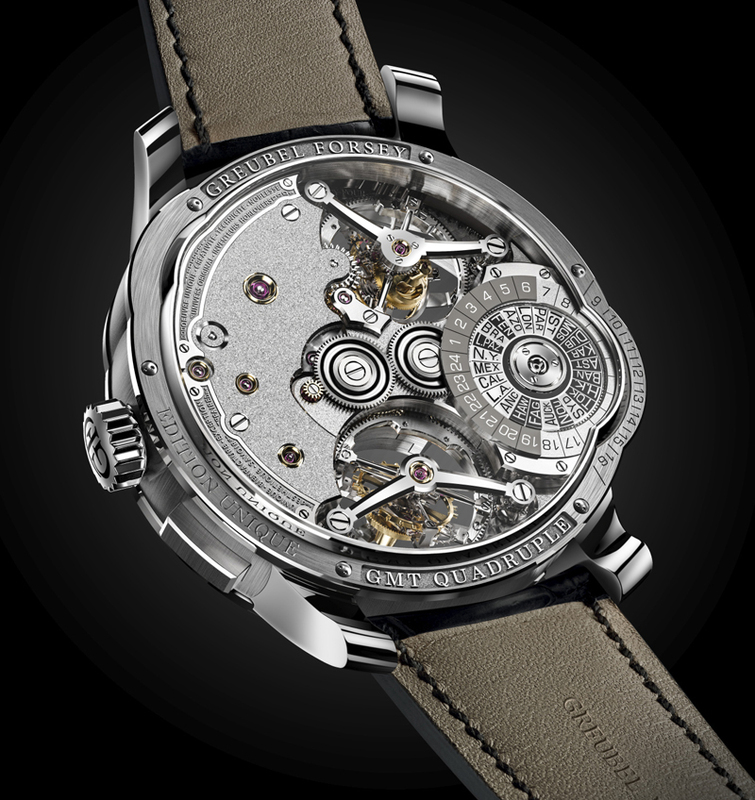 The universal time indication is also visible through the watch’s sapphire crystal caseback cover. Repeated here is the 24-hour scale bearing day/night zones, but replacing the globe is a disc over which inscribed are the three-letter abbreviations of 24 cities, representing the planet’s various time zones. This disc also distinguishes between time zones implementing Daylight Saving Time — these are marked by a light color — and those which do not (these rests against a dark backdrop). 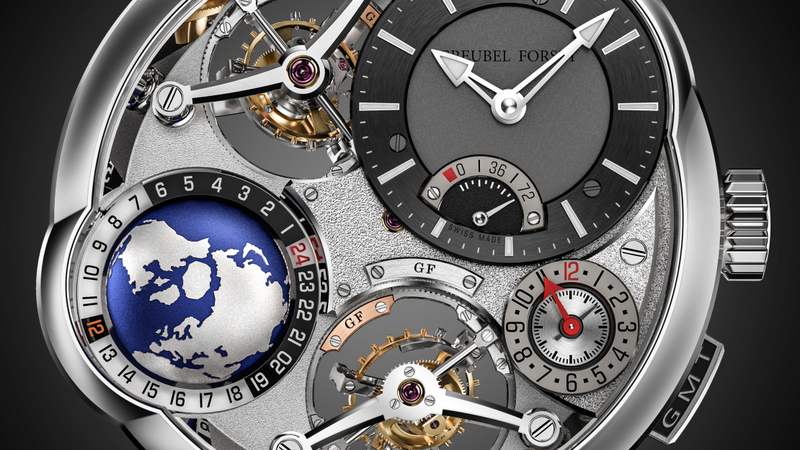 Greubel Forsey’s Quadruple Tourbillon, for its part, was designed from the start to improve accuracy. While a tourbillon rotates the balance mechanism on a single axis (a full rotation takes 60 seconds) to average out any error the difference in the watch’s position may cause, a double tourbillon spins these same components in another axis, further compensating for changes in the watch’s position. In Greubel Forsey’s Double Tourbillon 30°, one of the tourbillon cages, angled at 30°, rotates in one minute while the other achieves a full rotation in four minutes. In constructing the Quadruple Tourbillon GMT, Greubel Forsey coupled a pair of double tourbillons together through a system of compact cages, ensuring the watch does not get too large. The move called for the brand to create a new handwound calibre — which it did, in the process assembling 805 parts, of which three are mainspring barrels. The result is that this quartet of tourbillions is able to take timekeeping a notch or two up the accuracy ladder. Such haute horlogerie approaches are then suitably presented in the Double Tourbillon GMT’s dial. Leaning on its proclivity to build watches with multi-tiered, multi-finished dial architectures, Greubel Forsey placed the Quadruple Tourbillon GMT’s hour and minute register on the highest point on the dial. Accompanying this largest subdial on the watch is a power reserve meter that reads up to 72 hours. Sitting slightly lower the hour/minute/power reserve subdial, at 4 o’clock, is the second time zone display that’s pusher-adjustable in one-hour increments, making time-setting for another place easy. This display then surrounds a small second readout. Between 8 o’clock and 9 o’clock is the spot reserved for the globe and 24-hour scale. Flanking these are the two pairs of double tourbillions, with each flaunting its matte black polished bridges. Over these bridges, gold chatons and other hand-polished parts certainly dazzle viewers with their, well, complexity. Apparently, Greubel Forsey thinks a double tourbillon and a GMT function, when not combined in one watch, are a bit too simple.